Campus WheelWorks proudly welcomes Giant Bicycles. The world's leading manufacturer of high performance bicycles. Giant is one of the only bike companies in the world that owns their own factories. They make their own carbon composite and aluminum. They engineer the best bicycles possible from their Taiwan factories. The frames and manufacturing is human intensive and almost all of the frames are hand built and hand welded. Giant has more control over the product that gets delivered than any other brand, resulting in higher quality. Giant as a brand has always pushed newer technologies in design and manufacturing, pushing the industry to new places. 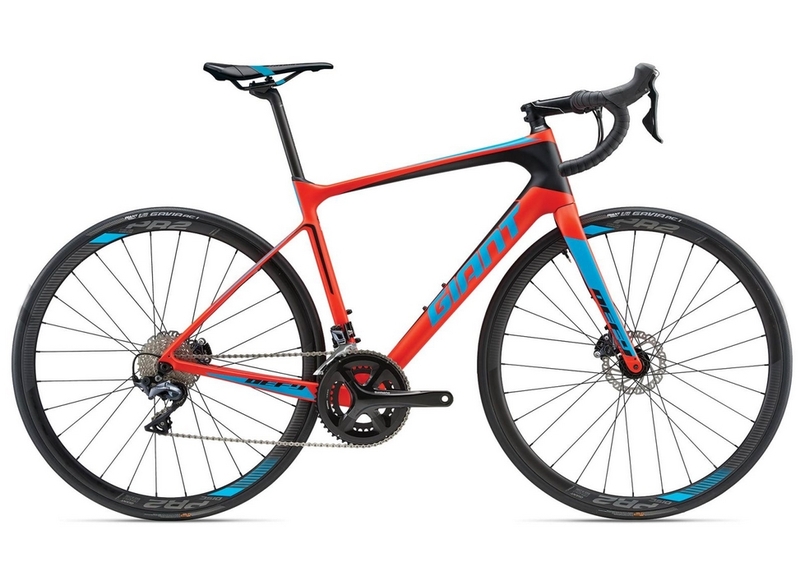 Because Giant controls their entire process from start to finish, their bikes come in at a better price than competitors. 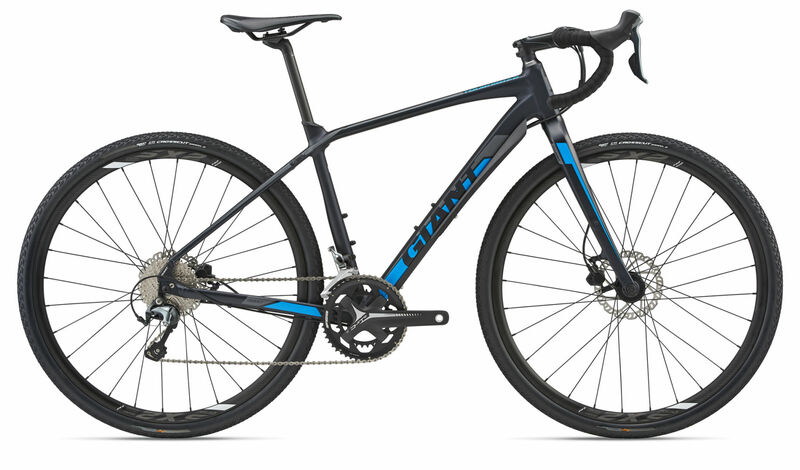 Giant produces world championship road bikes and mountain bikes, as well as rugged hybrids, city cruisers, kids bikes, and e-bikes. We carry a wide selection, come take a test ride today! TCR Advanced 2 - Total Compact Road - This concept was developed in the mid 90’s by Giant. Bicycle engineer Mike Burrows developed this design and adapted it for use by a world tour team. The UCI, after much debate, accepted the alternative frame geometry for use in world tours. Since then, almost all other manufacturers have copied this design to some degree. The TCR Advanced is designed as an all rounder race bike; it's good for both climbing and sprinting. 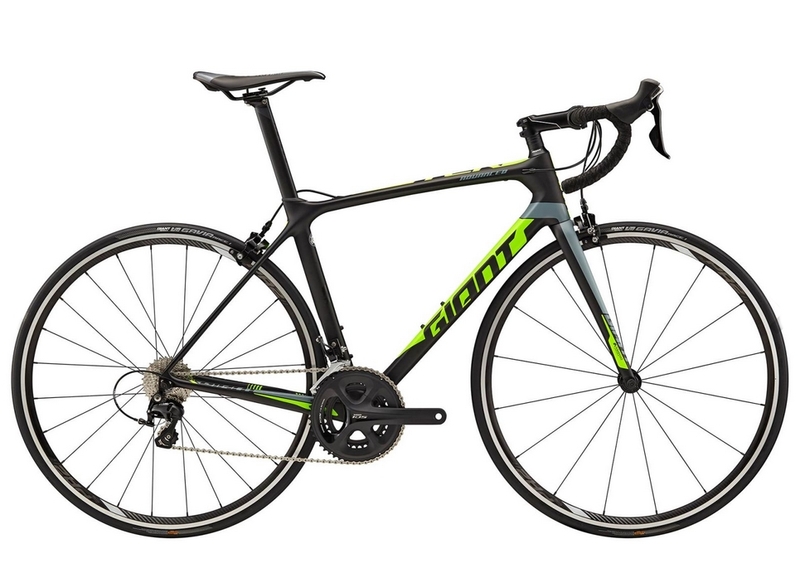 Defy Advanced 1 - The Defy is Giant's flagship endurance road bike with striking design features. It has a geometry that lets you ride all day on a variety of road surfaces with great comfort. It's designed to absorb road vibrations on uneven surfaces that may fatigue you on longer rides. It also has disc brakes and thru-axles for total control in any condition. Contend 1 - Fun, fast, and smooth. This is the road bike for the masses! It features a great aluminum frame in a classic road bike geometry. Toughroad SLR GX 1 - This is a lightweight drop bar bicycle that is capable of brutal punishment on cracked roads, dirt, and gravel. Appropriate for the super commuter, the bike packer, or the gravel rider. This thing is setup to shine in the worst possible conditions, and we know you will have a great time putting it to the test. 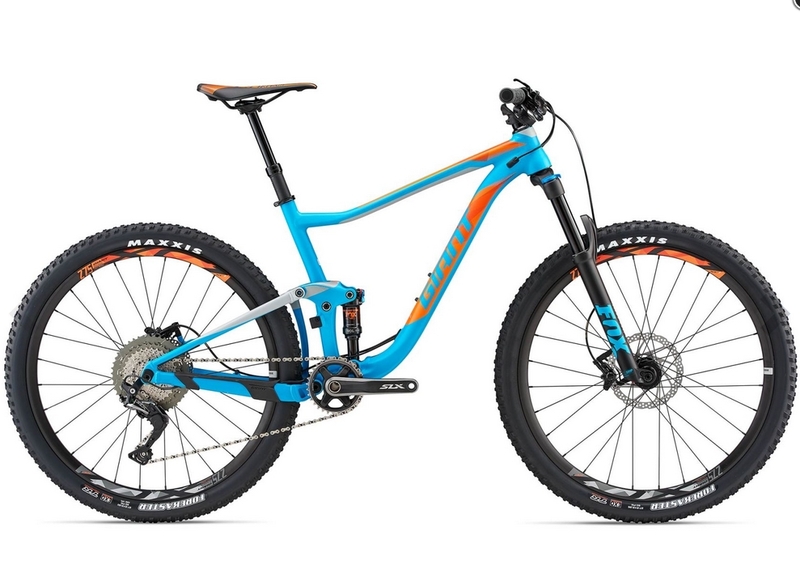 Anthem 2 - Giant's ultimate fully suspended trail mountain bike. At the heart of the Anthem is Giant's Maestro rear suspension system. This allows the rear wheel to remain in contact with the ground more frequently and without being compromised by brake interference. Talon 2 - The ultra affordable yet uncompromising hard tail mountain bike for slaying single track. If you are just getting into mountain biking, this is an option that cannot be overlooked. Escape 2 - All around fitness and urban hybrid. 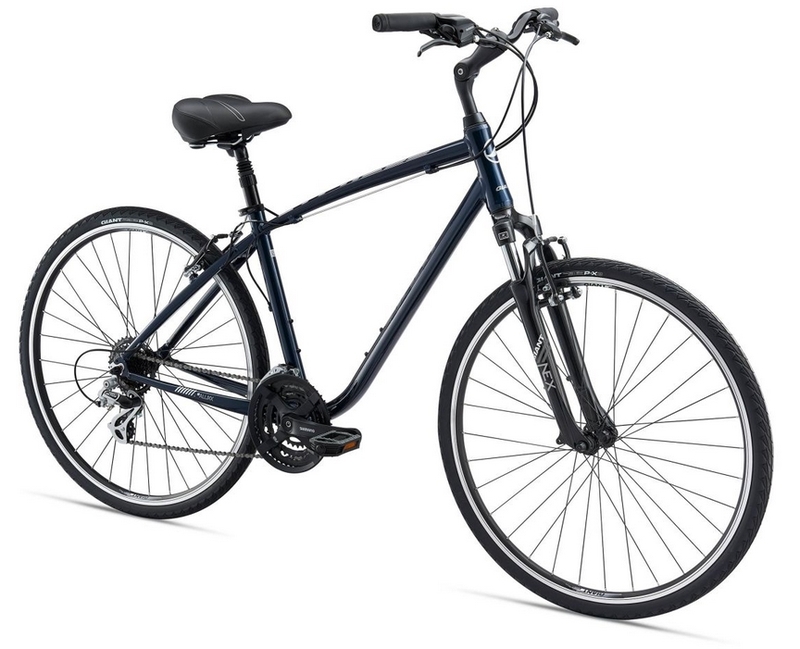 This bike is great for casual riding on city streets or bike paths. Its also great for getting in a bit of exercise or for commuting to work. Cypress DX - This is the bike you think about when all you want is comfort. It's upright, it has a front shock, and its super fun to ride. Cypress - The DX's quicker little brother. This is still an upright hybrid, but this one is a quick urban cruiser with a lightweight fork and a 1x drive train.